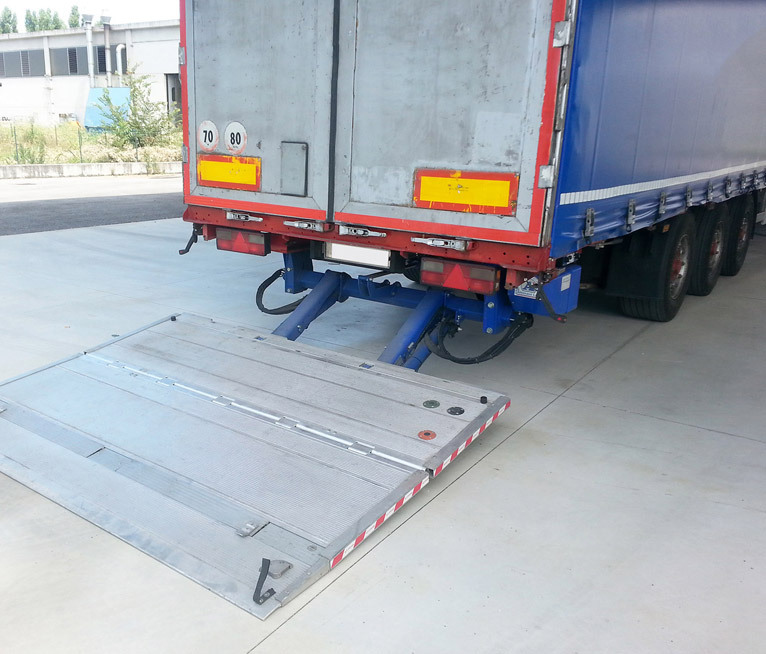 The retractable tail lift are one of the “jewels” of Altimani lift ,a leader in the sale of tail lifts and hydraulic platforms for loading and unloading from vans and trucks. The retractable tail lift, with folding platform under the frame allow a discontinuous use of the tail lifts. 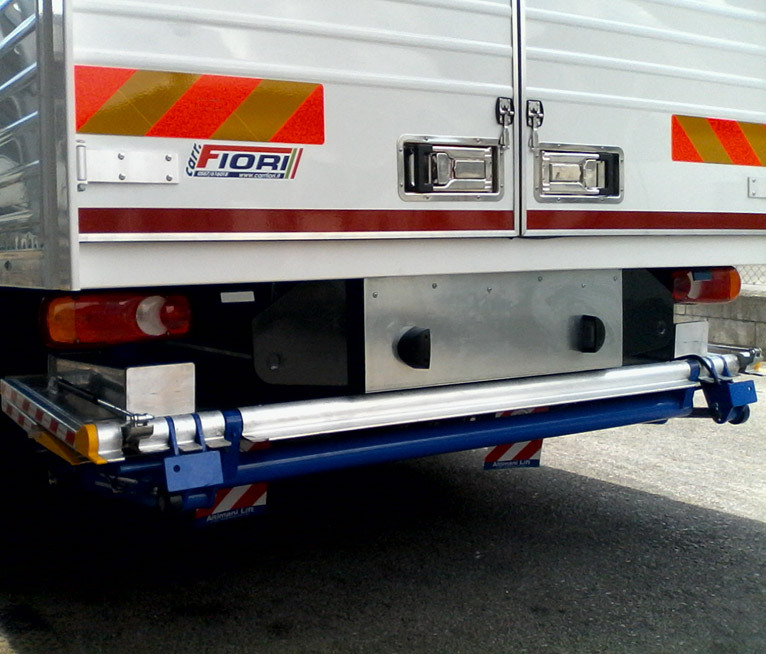 The retractable tail lift for trucks and vans is installed into the vehicle frame. 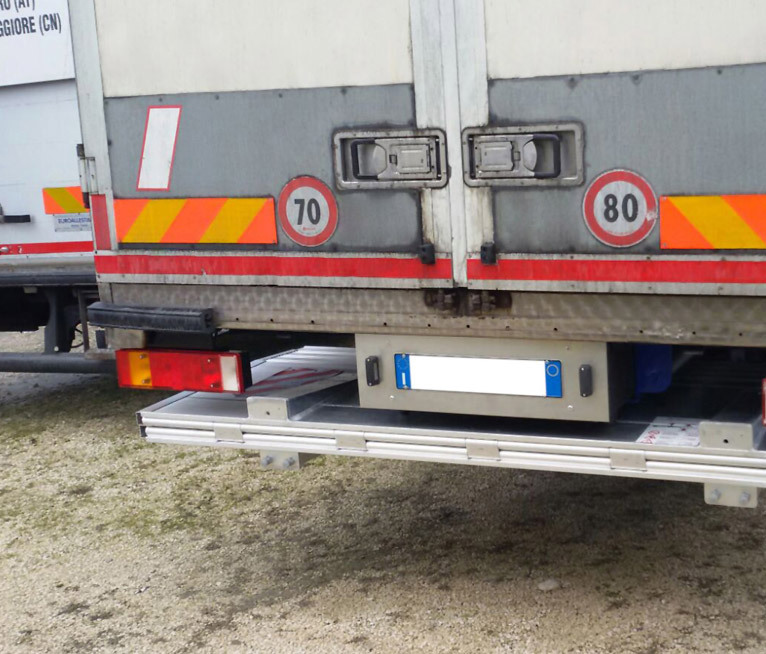 This is the solution for those who need free access to the load compartment without moving the tail lift or in order to facilitate the operations of loading and unloading. The retractable tail lift can be installed on any type of vehicle, from small commercial to the heaviest truck. They are available in single or double folding models, according to the space available under the chassis. Altimani lift produces the best retractable tail lifts, all of the latest generation. 4 cylinders (2 lift cylinders – 2 tilt cylinders). Electrical safety valves integrated in tilt cylinders. Blinking lights and platform fl ags mounted onto the platform. Centre of Gravity mm 600. 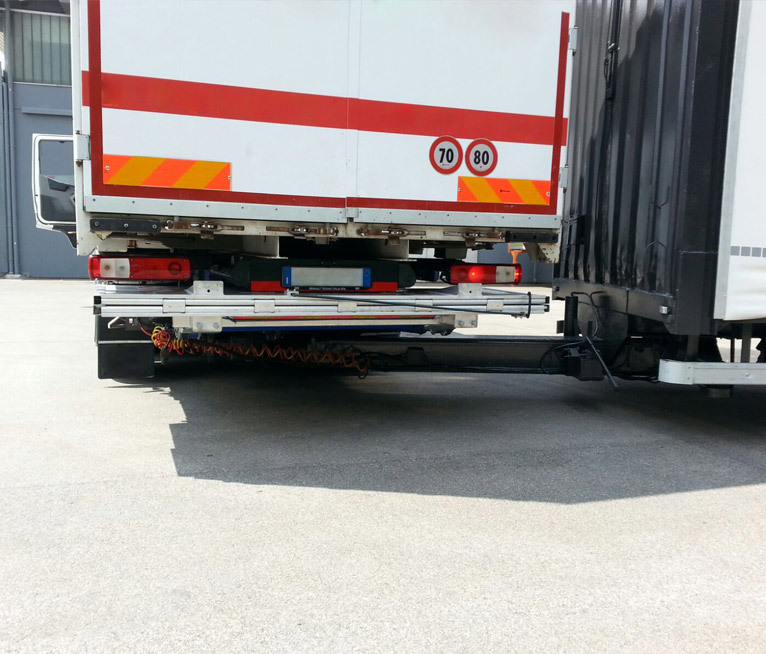 Retractable tail lift for vehicles with drawbar couplings.